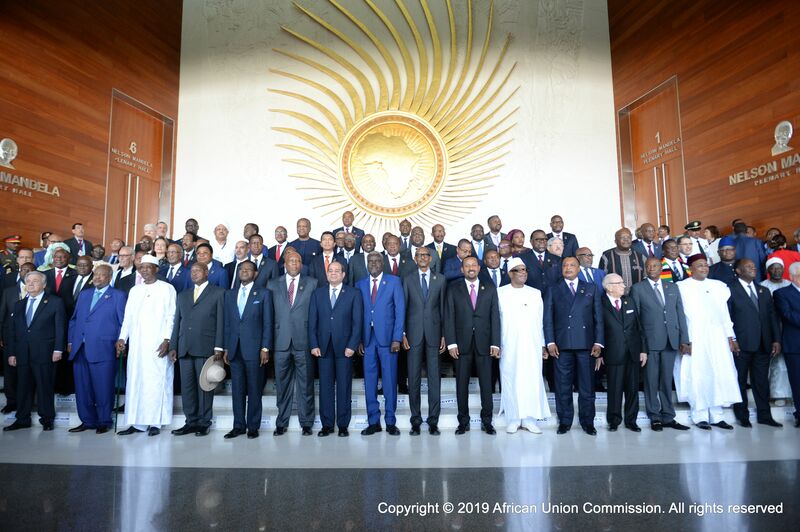 10 February 2019 Addis Ababa, Ethiopia - The supreme organ of the African Union (AU), the Assembly, which comprises Heads of State and Government of all the 55 African countries, has begun its 32nd ordinary session. The Assembly meeting is the culmination of the Union’s statutory meetings and was preceded by the meetings of the Executive Council and the Permanent Representatives Committee. In this regard, the Heads of State and Government will, over their two day meeting, receive several reports including report on the Outcome of the Leadership In Health Financing Funds High Level Meeting to be presented by President Paul Kagame of Rwanda; President Mamadou Issoufou of Niger will report on the status of the African Continental Free Trade Area (AfCFTA), as well as President Alassane Dramane Ouattara of Cote D’ivoire will report on progress achieved with regard to Agenda 2063. The Chairperson of the African Union Commission Mr. Moussa Faki Mahamat will present reports on the Implementation of the Institutional Reform of the AU and the Annual Report on the activities of the Union and its organs. Other reports will also be presented during the Assembly meeting, to gauge the progress made in the implementation of flagship projects of Africa’s Agenda 2063. 5. 4th Vice Chairperson: Paul Kagame, President of the Republic of Rwanda (Rapporteur). The Summit is being held under the 2019 theme; “The Year of Refugees, Returnees and Internally Displaced Persons: Towards Durable Solutions to Forced displacement in Africa”.